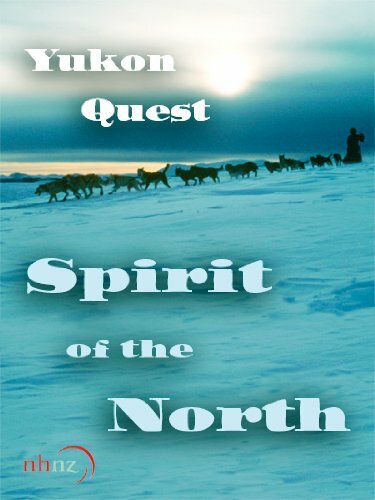 Author Margaret BlackPublished on February 28, 2016 March 8, 2016 1 Comment on Tracking the Yukon Quest! The Yukon Quest is a 1,000 mile sled dog race between Fairbanks, Alaska and Whitehorse, in the Yukon. 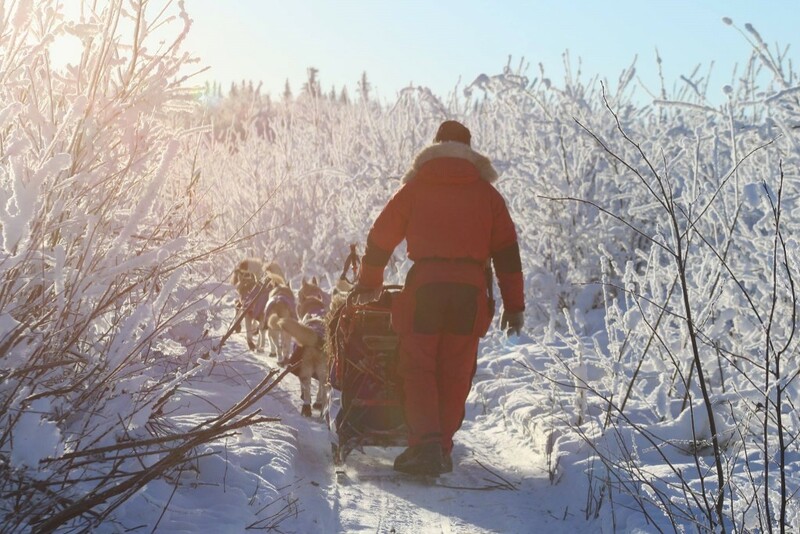 This year, 23 mushers and their 14-dog teams braved the elements for nine to twelve days, traveling scantily marked trails, over mountain ranges, along frozen rivers and through forests, stopping to resupply at just ten checkpoints along the route. 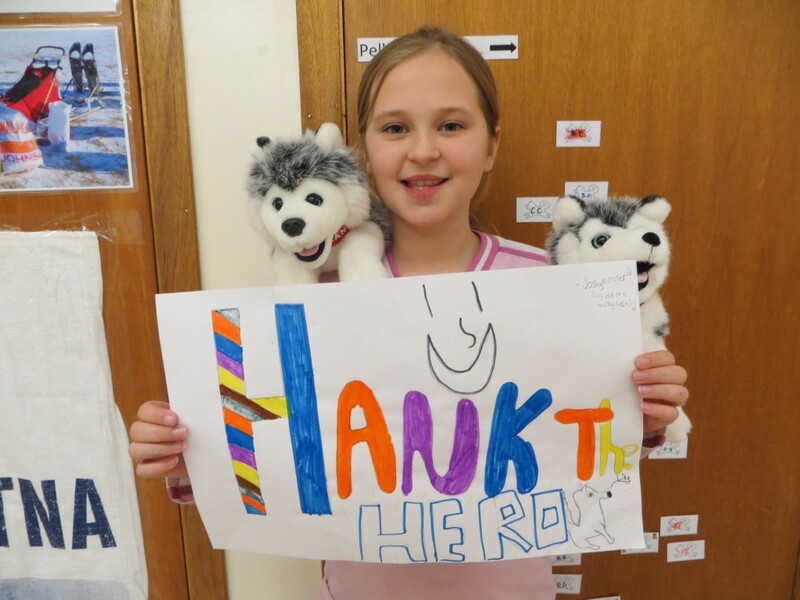 Our class was particularly interested in following Hank Debruin and his team of Siberian Huskies, from Haliburton, Ontario. 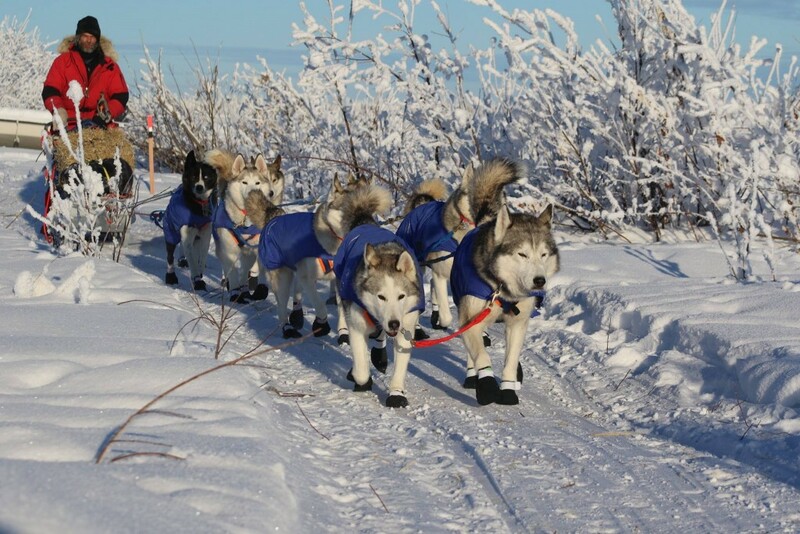 They have completed both the 1,000 mile Iditarod, and the Yukon Quest twice before. 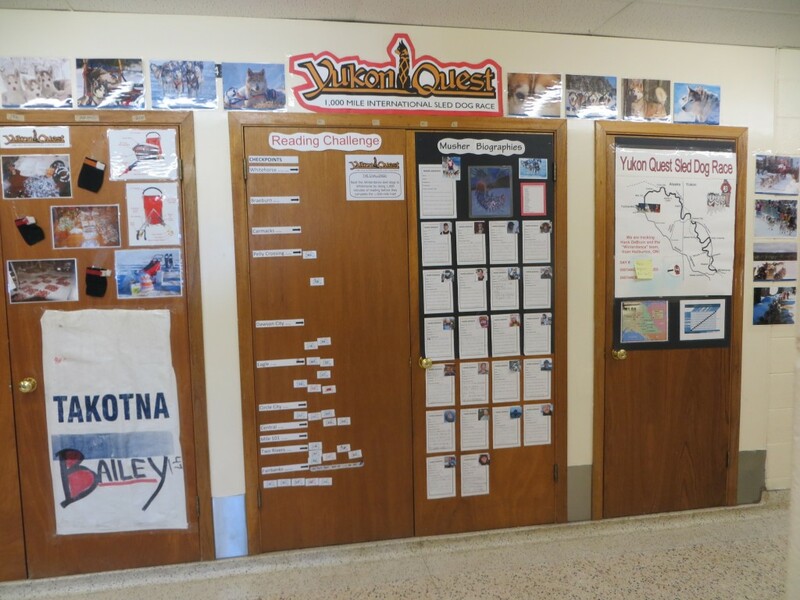 Prior to the February 6th start of the Yukon Quest, students watched videos and read articles that provided background about Alaskan and Siberian Huskies, the equipment and food that mushers use on the trail, and the challenges they were likely to face in the northern wilderness. 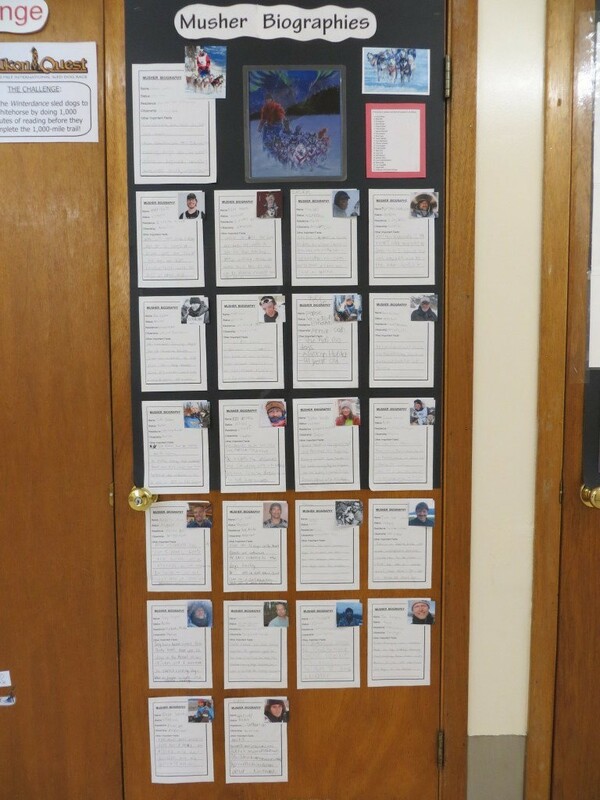 Next, students wrote mini-biographies about all of the musher's in this year's race, by summarizing information posted on the Yukon Quest website. 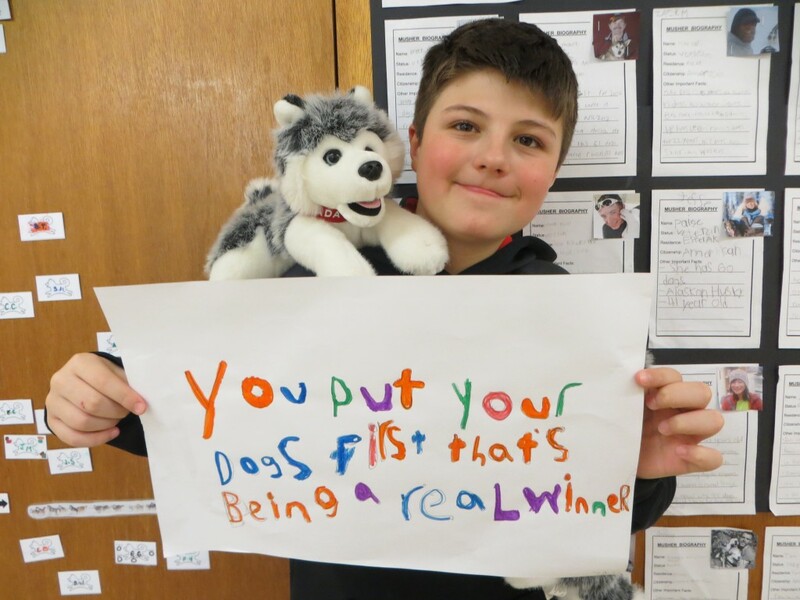 Students were particularly impressed to learn that one of this year's rookie mushers was a nineteen year old girl from Minnesota. 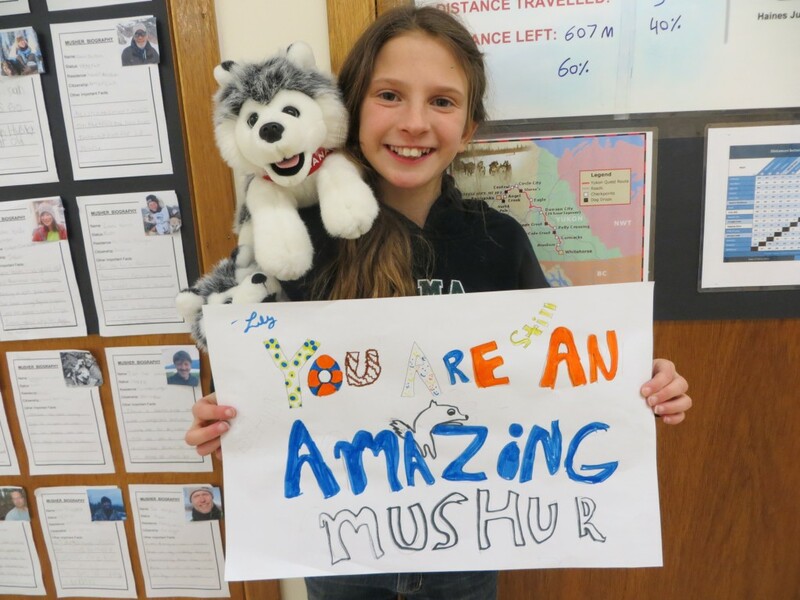 Other mushers hailed from across North America and Europe. One musher was a Japanese woman, now living and training in Whitehorse. 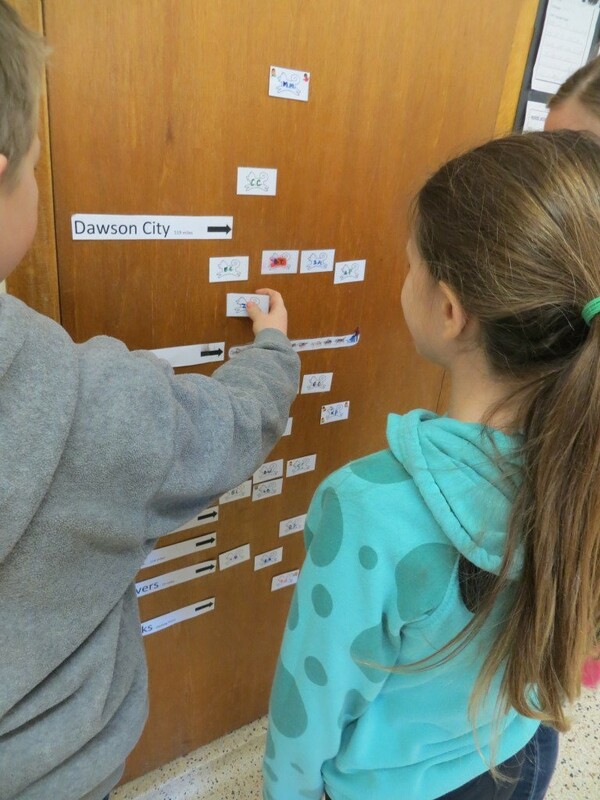 Another aspect of our Yukon Quest unit was a reading challenge. The goal was to read for 1,000 minutes faster than Hank Debruin and his dogs could run 1,000 miles on the trail. 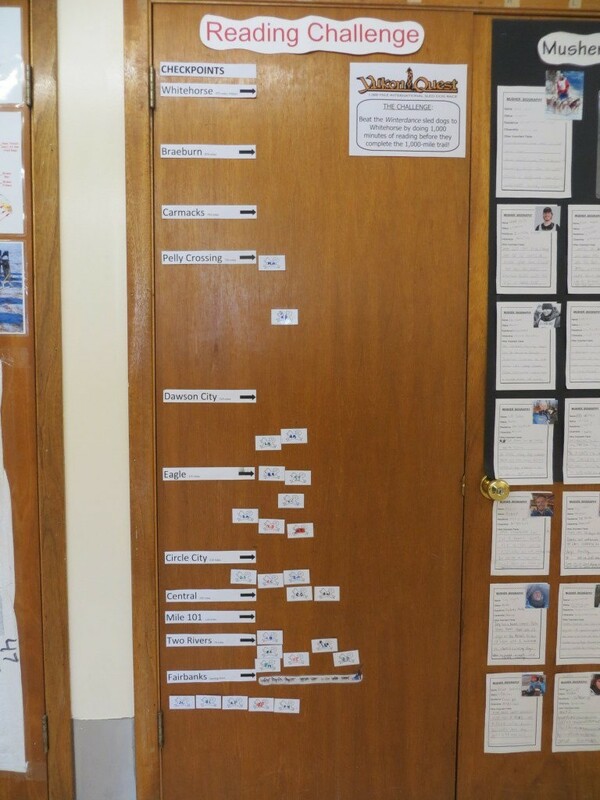 We tracked everyone's progress on a door-sized graph. All of the mushers carry SPOT Trackers on their sleds, so each morning we went online to see how far the teams had progressed on the trail. 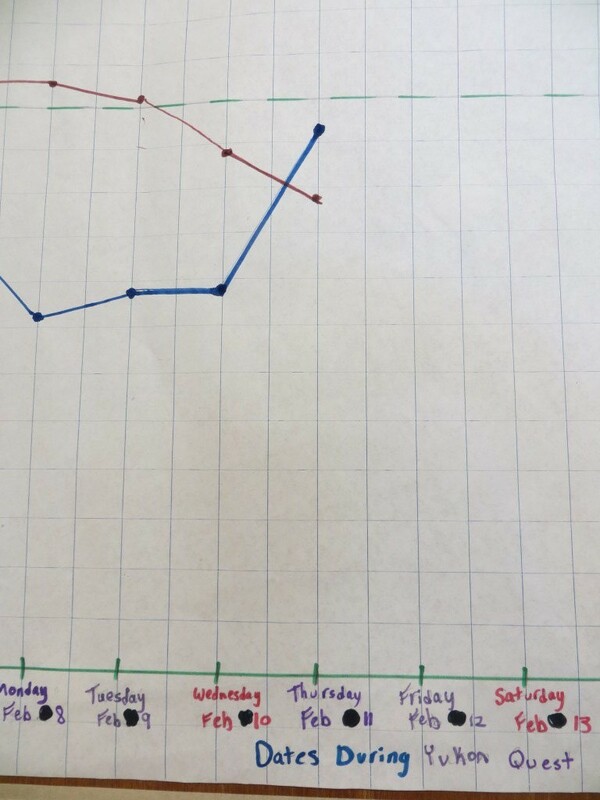 We plotted Hank's progress on a trail map. 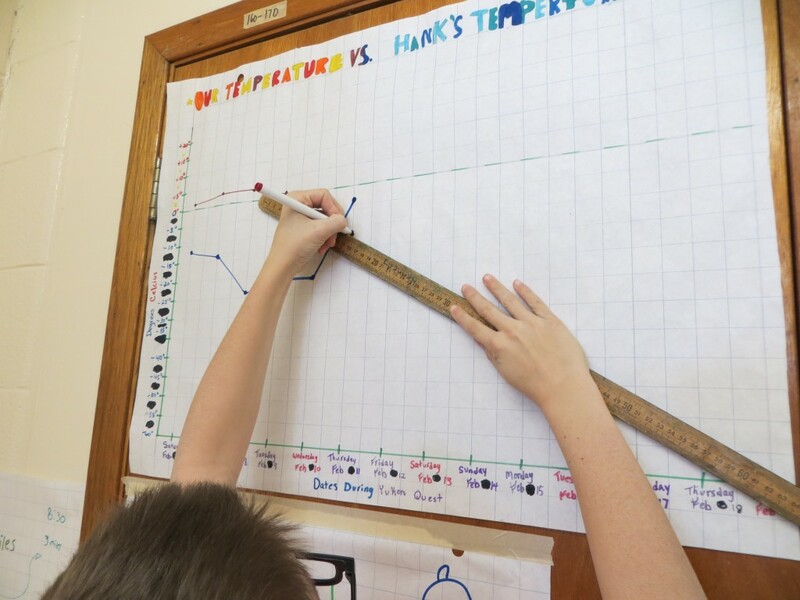 We also graphed and compared the temperature in Washago with the temperature in Alaska/Yukon, throughout the race. 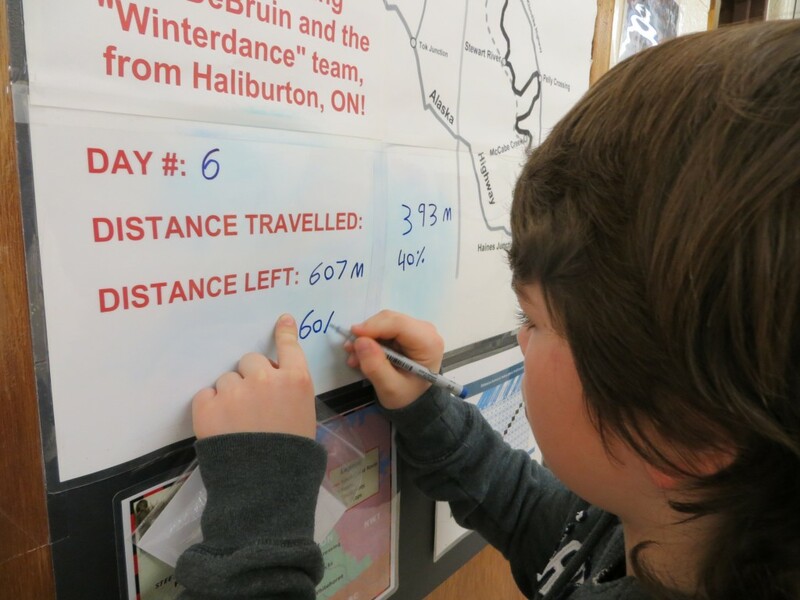 At one point, we were surprised to see that it was colder in Central Ontario than in the far north! Our temperature is in red. Hank's is in blue! 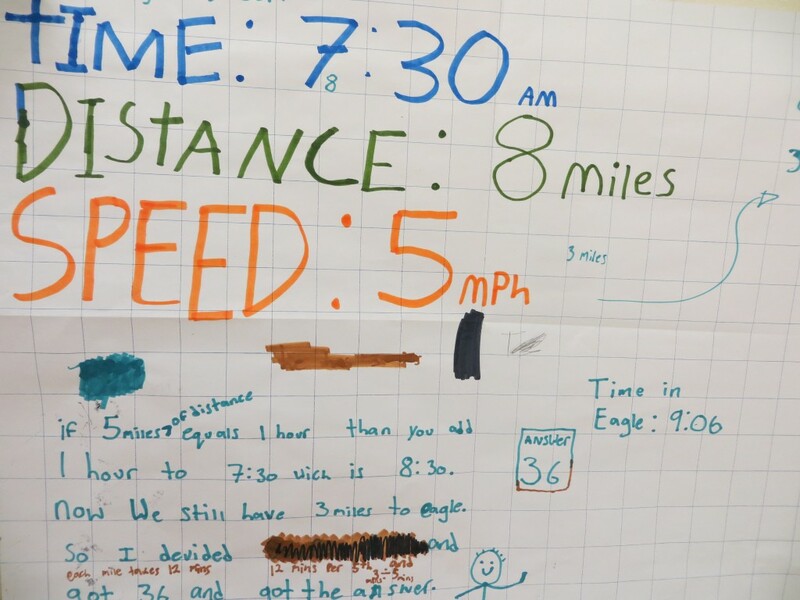 We also practiced estimating and calculating elapsed time, by trying to predict when Hank's team would reach one of the checkpoints based on his position and the speed he was moving. 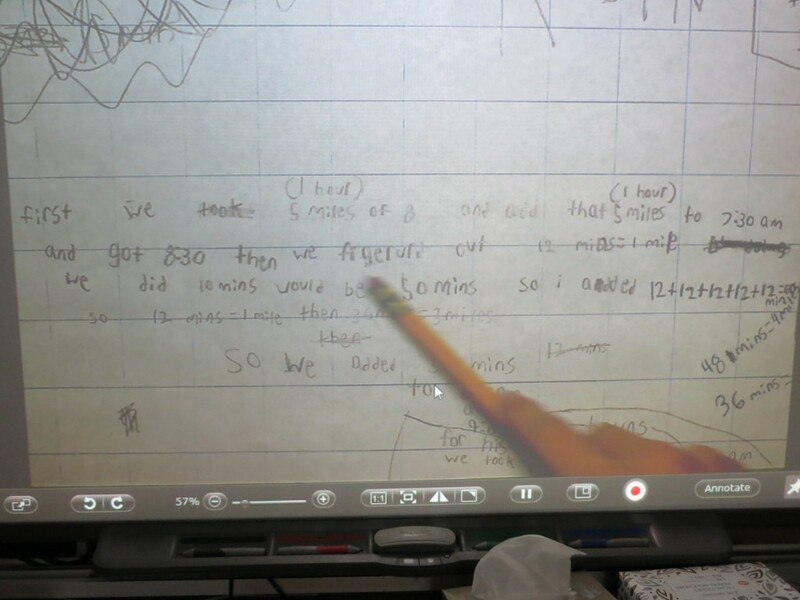 Groups of students then shared the methods they used to calculate an answer, and their time estimates. 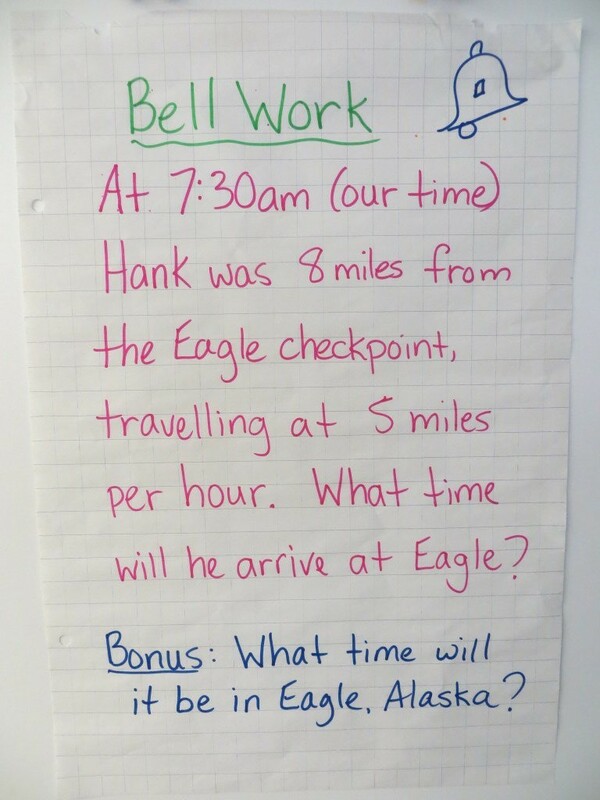 Hank beat our Eagle checkpoint estimate by 10 minutes. All of the dogs he was running, at that point in the race, were veterans of the 2014 Quest, so they knew the trail. We are guessing the team sped up on their final approach to Eagle, knowing that they would soon be receiving a warm meal and a nice, long rest! Mushers start with 14 dogs, and can drop off dogs that are not feeling up to continuing, at any checkpoint. However, once a dog is dropped it cannot be replaced or resume the race. 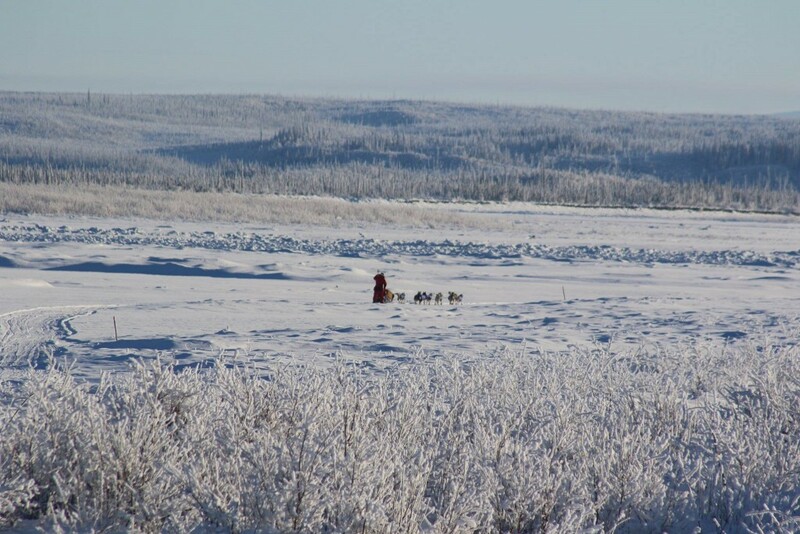 Dropped dogs are cared for by the musher's support team until the race is over. Unfortunately, this year Hank had many road blocks thrown in his path from the very beginning. In the first three days after leaving the start line in Fairbanks, Hank and some of his dogs experienced ill health, and an important trail sign disappeared, causing Hank and several other mushers to take a lengthy, incorrect detour in the mountains, and then backtrack to the main trail. One of Hank's dogs, "Charlie," who had not been exhibiting any signs of illness and had just been cleared by race vets (dogs receive mandatory vet exams at most checkpoints), collapsed on the trail without warning, and had to be rushed back to the previous checkpoint, at Central, for medical care. Fortunately, she made a full recovery. Illness, detours and caring for Charlie added many more miles to the early days of Hank's Quest. 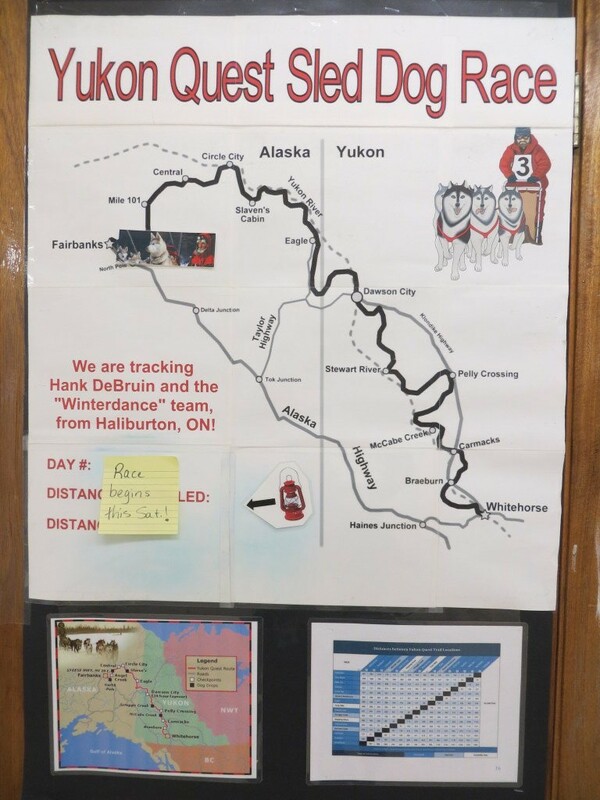 On the evening of Day 3, Hank left the Circle checkpoint in last place by ten hours, with just nine dogs on his team. Despite this, he continued down the frozen Yukon River, to Eagle, Alaska. After leaving the Eagle checkpoint, Hank's team ascended a peak called American Summit. When he was almost at the top, he turned around and headed back down the mountain to Eagle. We found out later that he had encountered blizzard conditions, and elected to return to the safety of the previous checkpoint overnight, for the sake of the dogs. 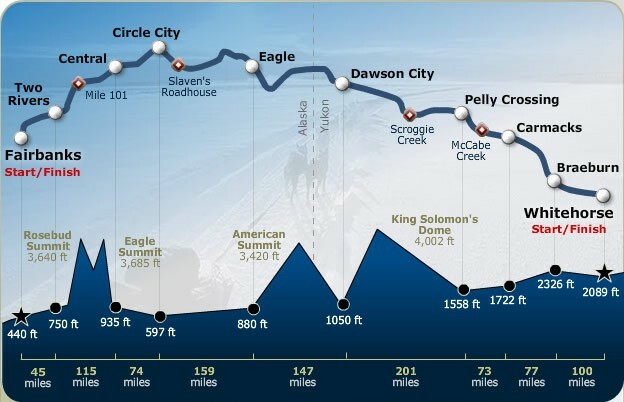 When dawn rose the following day, the trail had been obliterated by one to two feet of drifting snow, and Hank didn't have the heart to ask his small team to re-climb the mountain and then break trail on their own for over 100 miles, just to reach the mid-point of the race in Dawson City. For the first time in his racing career, Hank decided to end his race early. 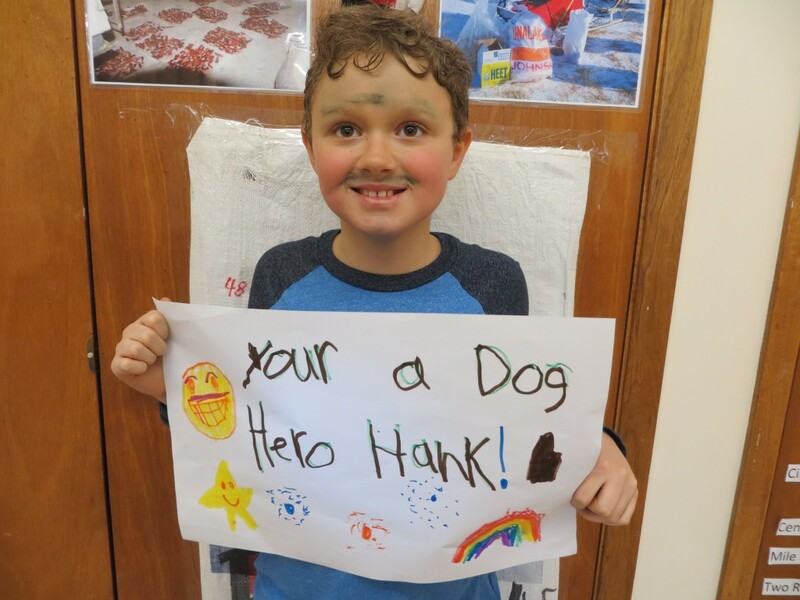 Although sad to see Hank's race end early, students in our class understood that Hank had put the welfare of his dogs ahead of his aspirations to complete the race. 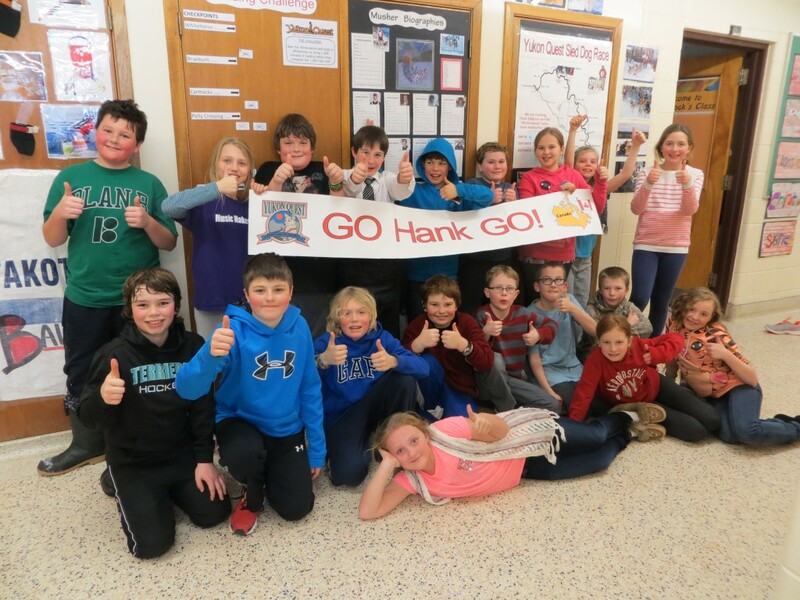 Hank became a hero to our class, in a way that he likely cannot even imagine. 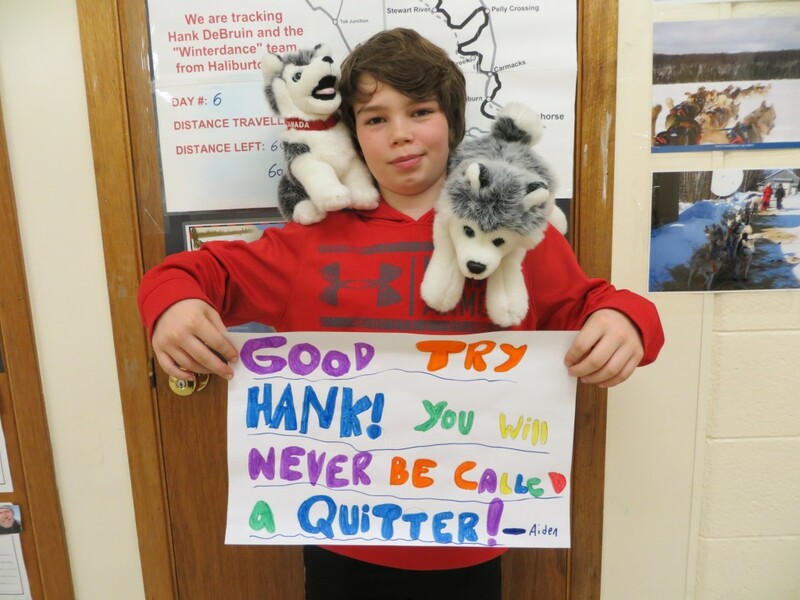 Students sent Hank heartfelt messages of support, and elected to finish the race on his behalf by continuing their reading challenge until the last musher in the race crossed the finish line. This year's totals, in the Hank Debruin Reading Challenge," are impressive! Students in our class read for a combined total of 40,055 minutes, over three weeks. We want to sincerely thank Hank Debruin, his wife Tanya, and their amazing dogs for inspiring so much great learning, via their Quest!! 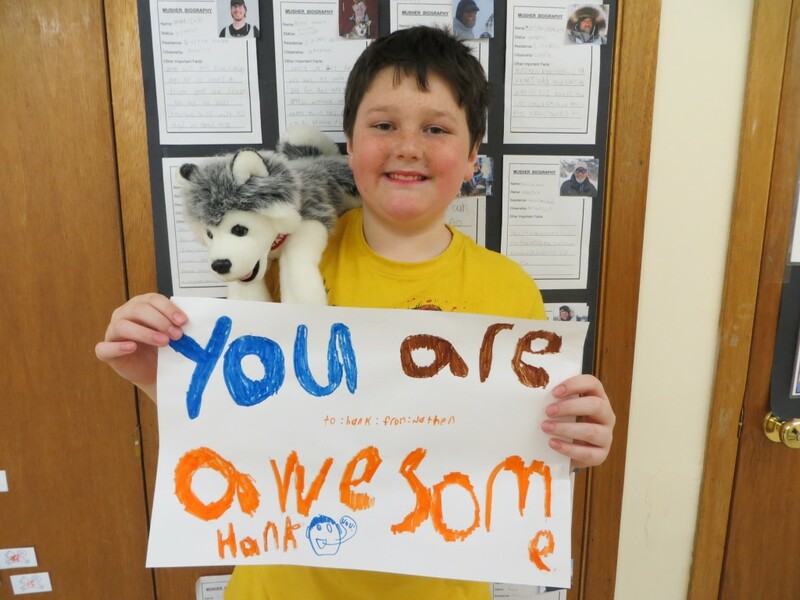 We are hoping Hank will come to class, to present the reading challenge certificates, and share some of his amazing Iditarod and Yukon Quest experiences, once the racing season is over. In related news... Earlier in the school year, Mrs. Black won a copy of a novel about dog sledding, written by an author living in Whitefish Falls, Ontario. Throughout the month of February, we enjoyed the book as our class read-aloud. 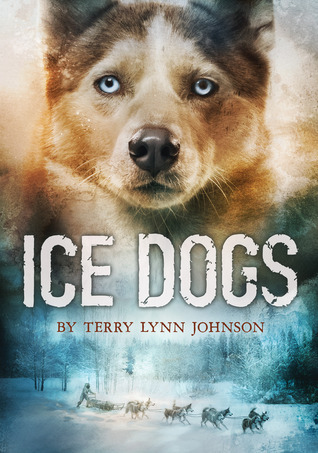 The author, Terry Lynn Johnson, will be Skyping with us about the book, and her experiences as a dog sledder, author and conservation officer in early March! 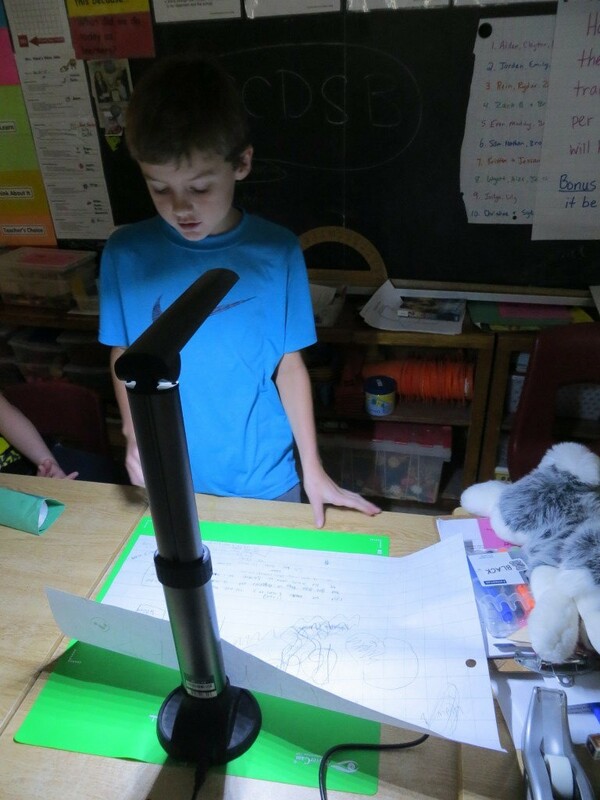 Previous article: “Our Canada Project” Award Presentation! Next article: Shelters for Orphaned Wildlife! Awesome idea. What a great study and application. Many people forget about this race!